Internal conflicts are rife in the ruling Awami League once again over the nominations of the Upazila Council polls. The discords have given way to clashes between the supporters of aspirants at several places. Hundreds of complaints filed with the party chief’s office alleged lawmakers, ministers and senior leaders of influencing the nomination process. The leadership, however, is not ready to pay heed to these allegations saying that in the end, everyone will work to ensure a win for the party’s candidates. “Everyone has contributed to the party in some way of the other,” said Presidium member and Agriculture Minister Dr Abdur Razzak. “Many aspire for a party ticket when the polls draw near and that can create some momentary discords but they will be resolved by the time the nominations are finalised,” he told Bangla Tribune. Meanwhile, the supporters of the Upazila polls aspirants have clashed in several places across the country. On Feb 10, a clash between AL factions at Lalmonirhat left 15 people injured, including police and around 10 vehicles were vandalized. The clash ensued when the supporters of Imrul Kayes Faruk who has been deprived of nominations tried to interfere in the work of the AL candidate Rafiqul Islam’s men. In Sirajganj, a faction of AL activists has denounced the party pick Mohammad Ali Akand claiming that it was Sajjadul Hoque who was leading the grassroots survey. In Barisal’s Babuganj Upazila AL leader Khaled Hossain Shapan alleged that the AL pick Kazi Imdadul Hoque Dulal’s name alone was sent to the nomination board. Ujirpur AL leader Hafizur Rahman Iqbal made the same complaint about the party pick Abdul Majid. Both of these nomination deprived have declared to contest the polls as rebel candidates. Jhalakathi unit Joint General Secretary and Sadar Upazila Chairman Sultan Hossain Khan, Keraniganj unit convener committee member Md Taher Hossain, Jubo League’s central executive committee member Md Yusuf Ali Chowdhury Selim all have their own set of complaints regarding the nominations. Taher Hossain complained that the AL’s Keraniganj unit was supposed to finalise the candidates after a closed meeting but the current Chairman Shaheen Ahmed sent his name to the nomination board without consulting anyone. Jhalakathi’s Sultan Hossain Khan told Bangla Tribune that he has complained to the party’s General Secretary Obaidul Quader that the nomination for his Upazila has been influenced by a powerful central AL leader. He added that nominations will be finalised based on the survey reports and other facts and not only on the grassroots report. The 5th Upazila Council polls are scheduled are to begin in March and the Election Commission plans to administer it in several phases like the last time. Voting for the first phase will take place on Mar 10 and the second phase will take place on Mar 18. 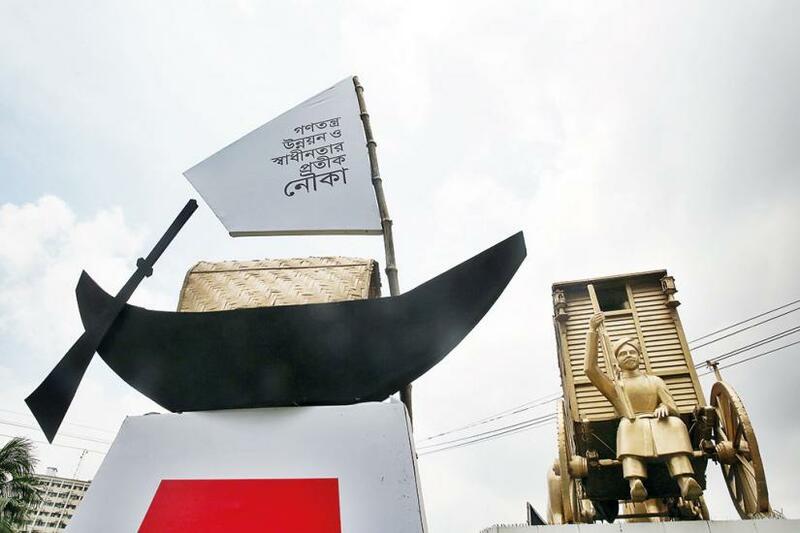 This is the first time the Upazila elections are taking place in the party line, meaning the candidates will contest with a political party’s electoral symbol. However, the ruling party has given its tickets for the post of the Upazila chairman only while BNP and its allies have announced to sit out from the race. Name change of Jamaat a possibility!